Maxwelton Braes has rightfully been called a "golfer's paradise." The 6,041 yard course is par 70, USGA rating 68.7, with rolling links and open fairways dotted with bunkers. Each hole is a challenge to anyone's skill and strategy. Located on Highway 57, just south of Baileys Harbor. Any time over the phone (920) 421-GOLF or in person. Also available on website golfmaxweltonbraes.com or on Golf Now. Men, Women and Mixed Leagues starting in Mid May and run through Mid September. Call pro-shop at (920) 421-GOLF for details and to sign-up. 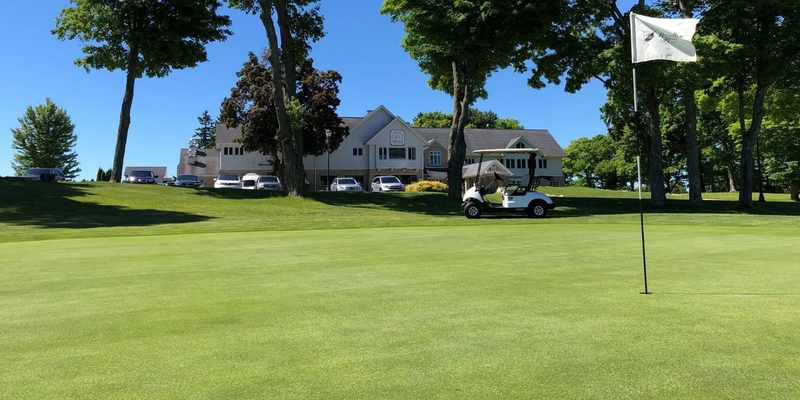 Contact Maxwelton Braes Lodge and Golf Course at 920-421-GOLF for more information and details on holding a golf outing at the course. Maxwelton Braes Lodge provides a fabulous place to host a wedding of any size. Enjoy our historic lodge that was built in the early 1900's that is complete with lodging accommodations for up to 95 of your guests, a restaurant, a bar, and a private event area. The Event Room is the entire second floor which seats up to 175, dance floor, and cocktail area with a large private bar. We have a large outdoor patio and expensive grounds overlooking the sprawling grounds and adjacent golf course, you will find it to be the perfect spot for your various outdoor needs. Use the patio for cocktails, dinner and even dancing under the Door County stars - it can easily be tented for protection, so your outdoor guest list is unlimited. We have several lodging options; the Vintage Fairway Suites, One and Two Bedroom Lodge Suites, Deluxe Lodge Rooms, and Basic Lodge Rooms. Events may require a minimum room block, please call or email for details. Our premier on site-cater is Pasta Vino. Their sister restaurant, is the Award Winning Steak House - Chop, which is also available for your dining needs. They will tailor a menu, as well as a beverage package, for your specific event needs. We are centrally located in the heart of Door County just minutes away from many picturesque Door County spots such as Cave Point County Park , Kangaroo Lake, Marinas, Beaches, Lighthouses, Peninsula State Park,Orchards, and Landmark Buildings. Maxwelton Braes Lodge offers 11 Lodge rooms and 12 Vintage Fairway Suites. Visit www.maxweltonbraes.com or call 1-920-839-2321 for reservations. 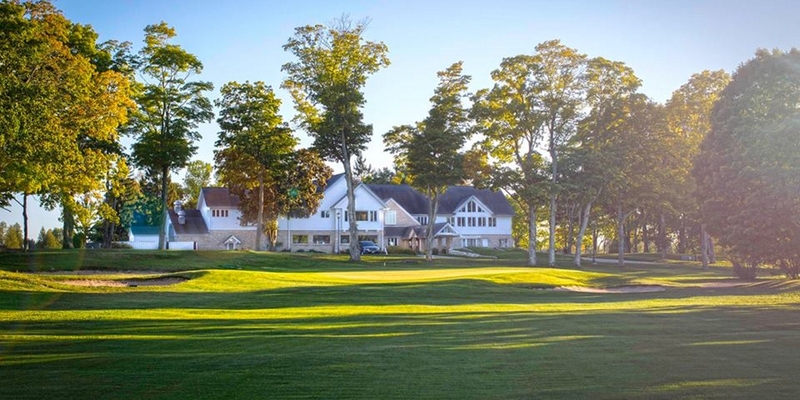 All guests of Maxwelton Braes Lodge can play 18 holes, including a cart, for $30.00 per person. Thyme Cuisine at Maxwelton Braes offers dining and a bar. Hours may vary based on season. Sandwiches, Beer and Soda are available at the Pro Shop. This profile was last updated on 10/02/2018 and has been viewed 21,764 times.